We’ve previously talked about some of the types of companies that could benefit from Virtual Ticketing Solutions’ online event ticketing software. Virtual ticketing solutions has helped multitudes of customers achieve over $100 million in ticket sales through our unique and customizable ticketing software. We pride ourselves in providing not only the best online event ticketing software which also helps with reservation management and supply management, but also the full customer experience. In a previous blog, we noted that many different aspects of the tourism industry, sharing economy startups, various venues, coworking spaces, and fitness centers would be excellent candidates for our unique online event ticketing software. Additionally, have five more business types that would greatly benefit from working with us at Virtual Ticketing Solutions. Much like ticketing for various venues, annual festivals could benefit from our online event ticketing software. Easy to use and manage, our ticketing software will help increase sales. You won’t have to struggle to manage reservations or accounting as the software helps with that. You’ll know how many tickets have sold online and at the festival, as well as have an easy collection of payment with payment tracking. No business is too big or too small for our ticketing software. Community theaters can benefit from having easy reservations and the ability to purchase tickets online instead of having to stop by the box office. This will boost ticket sales without increasing payroll hours. We know how important it is to watch your overhead when you’re a small business and online event ticketing with Virtual Ticketing Solutions pays for itself quickly with boosted sales. 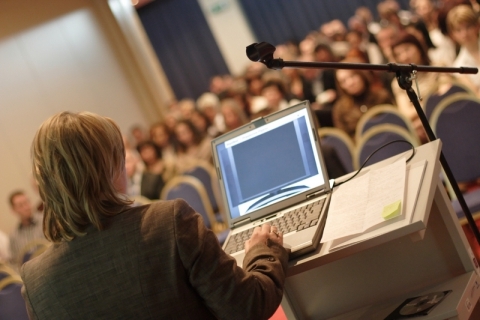 Managing large events like lecture series can be a challenge. There are a lot of different components that go into organizing and executing them; don’t let ticket sales bog you down. College lecture series and many others can utilize our online event ticketing to alleviate the added hassle of managing ticket sales. Weddings, guns, industry get-togethers, you name it and there is probably a trade show for it. Managing ticketing for a tradeshow can be exceptionally difficult. But with our online event ticketing you can get started early. Simply change your branding for each show and make your ticking unique to individual shows. Our ticketing software allows you to offer early bird discounts for online purchase and even works if people want to buy tickets that day at the door. Keep track of revenue, attendance numbers, and so much more through Virtual Ticketing Solutions. Even high schools can benefit from our online event ticketing software. It’s so easy to use, even the students can learn. Utilize the software for high school theater events, sporting events, and even prom tickets. This makes managing ticket sales simple and can help keep funds accurate as tickets can be purchased online with a credit card versus tracking checks and cash. There are so many companies that can benefit from our best-in-industry online event ticketing software to sell tickets and manage reservations that the applications are nearly endless. Demo our product today online or call us with any questions you may have about how Virtual Ticketing Solutions can improve your ticket sales today.